EVERY TIME MY GOD ALMIGHTY EL SHADDAI BLESS US TO SEE ANOTHER DAY THAT WAS NOT PROMISED TO US WE SHOULD GIVE HIM GLORY, HONOR, AND A YET PRAISE JUST SAYING HALLELUJAH. THANK YOU JESUS. PRAISE GOD. I THANK GOD FOR NOT ONLY WHAT HE HAVE DONE FOR ME BUT FOR WHO I S IN MY LIFE. AMEN. I COUNT IT A JOY TO STAY IN THE PRESENCE OF THE LORD BECAUSE HE IS SO VERY AWESOME. THE MORE I STAY IN HIS WORD THE CLOSER I’M DRAWN TO HIM. PEOPLE FAIL TO REALIZE THAT THERE IS POWER IN PRAISE!!! PRAISE INVITES GOD IN BECAUSE OUR SPIRITS ARE REFRESHED AND RENEWED IN HIS PRESENCE. DON’T YOU KNOW GOD INHABITS THE PRAISES OF HIS PEOPLE AND HE LOOKS FOR US AS HIS CHILDREN TO WORSHIP AND PRAISE HIM IN CHRIST JESUS NAME. AMEN. IT DON’T COST NOTHING TO GIVE MY ALMIGHTY GOD EL SHADDAI PRAISE SO JUST LIFT UP YOU HANDS AND SAY LORD I JUST WANNA SAY THANK YOU LORD. START DOING THIS EVERY DAY THEN YOU WILL SOON FIND YOURSELF DOING IT MORE OFTEN. AMEN. I CAN TESTIFY MY ALMIGHTY GOD EL SHADDAI HAS BROUGHT ME FROM A MIGHTY LONG WAY. ABOUT FIVE YEARS AGO, A MAN RAN A RED LIGHT INTO THE RIGHT SIDE OF THE DRIVERS SIDE DOOR OF MY DODGE CHARGER HEMI RT AND TOTALED IT. SOME OF MY FAMILY MAKES REMARKS AND STUFF SAYING YOU WALKING YET AND SO ON SO I JUST START LETTING EVERYONE KNOW: WAS YOU IN THAT WRECK? IS YOUR BACK, NECK, LEGS HURT? BETTER YET WAS YOUR GLASSES BROKEN INTO YOUR EYES WHEREAS YOU COULDN’T SEE? IT’S ONLY BY THE GRACE OF MY ALMIGHTY GOD EL SHADDAI THAT I AM STILL HERE!!! HALLELUJAH. THANK YOU JESUS. IT TOOK THREE PARAMEDICS TO GET ME OUT OF THE CAR AND ALL I CAN DO IS WORSHIP, MAGNIFY, GLORIFY, AND PRAISE MY ALMIGHTY GOD EL SHADDAI FOR HOW HE BROUGHT ME OUT, DELIVERED AND HEALED. IT DON’T MATTER WHETHER YOU ARE WALKING OR SITTING JUST GIVE GOD THE GLORY AND GIVE GOD ALL THE PRAISES BECAUSE HE IS WORTHY OF ALL THE PRAISE WE CAN GIVE HIM AND MORE IN CHRIST JESUS NAME. AMEN. HALLELUJAH I’M STILL HERE!!! YES, EVEN THOUGH I AM IN A WHEELCHAIR BUT, LET ME TELL YOU ALL SOMETHING WHEN I HAD CAR WRECK PASTOR SAID MISSIONARY THE DEVIL IS TRYING TO KILL YOU I SAID NEVERTHELESS, THE DEVIL IS STILL DEFEATED!! AMEN. I WAS CHOSEN BY MY ALMIGHTY GOD EL SHADDAI AND AIN’T NO DEVIL IN HELL GOING TO STOP ME FROM DOING WHAT MY ALMIGHTY GOD EL SHADDAI CHOSE ME TO DO. I COULD TELL YOU ALL SOME STORIES THAT WOULD CURL YOUR HAIR WITHOUT THE ROLLERS BUT THAT’S JUST HOW GOOD AND AWESOME GOD HAVE BEEN TO ME IN MY LIFE. I CAN’T TALK FOR NOBODY ELSE BUT, I AM JUST A SERVANT OF THE LORD GOD ALMIGHTY AND I LOVE HIM WITH ALL MY HEART, WITH ALL SOUL, WITH ALL MIND AND EVERYTHING WITHIN ME. EL SHADDAI IS MY EVERYTHING. HE IS THE AIR I BREATHE. WORDS CANNOT EXPRESS HOW I FEEL ABOUT MY ALMIGHTY GOD EL SHADDAI. PSALM 16:11 – THOU WILY SHEW ME THE PATH OF LIFE: IN THY PRESENCE IS FULNESS OF JOY; AT THY RIGHT HAND THERE ARE PLEASURES FOR EVERMORE. 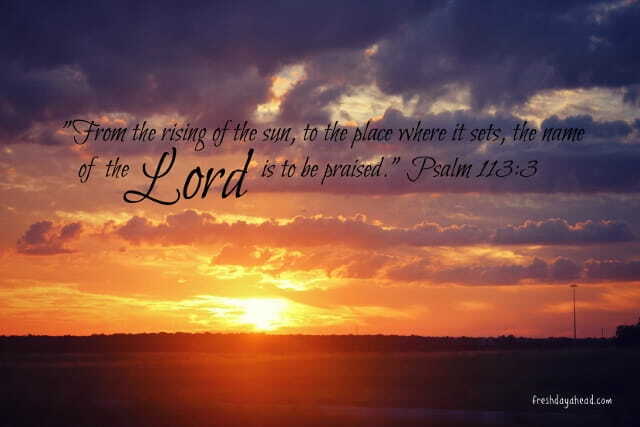 (3) BECAUSE THY LOVINGKINDNESS IS BETTER THAN LIFE, MY LIPS SHALL PRAISE THEE. (4) THUS WILL I BLESS THEE WHILE I LIVE: I WILL UP MY HANDS IN THY NAME. PSALM 100:4 – ENTER INTO HIS GATES WITH THANKSGIVING, AND INTO HIS COURTS WITH PRAISE: BE THANKFUL UNTO HIM, AND BLESS HIS NAME. I TELL PEOPLE ALL THE TIME I AM A MIRACLE I CANNOT COUNT THE TIMES THAT I HAVE CAME CLOSE TO BUT “MY ALMIGHTY GOD EL SHADDAI” HAVE WELL TAKEN CARE OF ME AND I CAN’T HELP TO MAGNIFY, WORSHIP AND PRAISE HIS HOLY NAME. HALLELUJAH. THANK YOU JESUS. GLORY TO MY ALMIGHTY GOD EL SHADDAI YOU SEE I DON’T KNOW WHAT HE BROUGHT YOU OUT OF BUT MY ALMIGHTY GOD EL SHADDAI HAVE MOVED SO MANY MOUNTAINS FOR ME, HEALED MY BODY,, AND HAS GIVEN ME A PEACE THAT SURPASSES ALL UNDERSTANDING. PEOPLE TODAY LOOKS AT A PERSON STATUS OR SHALL I QUOTA BUT, I DON’T CARE ABOUT THAT STUFF BECAUSE WE ALL NEED TO BE ROOTED AND GROUNDED IN CHRIST JESUS. KNOW WHO YOU BELONG TO IN OTHER WORDS WHO ARE YOU SERVING? GOD OR SATAN? THERE IS NO MIDDLE OR IN BETWEEN IT’T EITHER HEAVEN OR HELL!! PEOPLE GETS MAD AT ME EVEN MY FAMILY BUT I HAVE TO TELL IT JUST LIKE JESUS DID. JESUS DID NOT SUGAR COAT NOTHING. HE TOLD IT JUST LIKE IT WAS SO THEREFORE, I LET PEOPLE KNOW IT’D ONLY WHAT YOU DO FOR JESUS THAT MATTERS!! AMEN. I PRAY THAT I HAVE SAID SOMETHING TO ENCOURAGE SOMEONE THIS MORNING. GOD LOVES YOU AND SO DO I. HAVE A BLESSED DAY. GOD BLESS YOU!! PSALM 33:8 – LET ALL THE EARTH FEAR THE LORD: LET ALL THE INHABITANTS OF THE WORLD STAND IN AWE OF HIM. MATTHEW 15:25 – THEN CAME SHE AND WORSHIPPED HIM, SAYING, LORD, HELP ME. MATTHEW 9:18 – WHILE HE SPAKE THESE THINGS UNTO THEM, BEHOLD, THERE CAME A CERTAIN RULER, AND WORSHIPPED HIM, SAYING, MY DAUGHTER IS EVEN NOW DEAD: BUT COME AND LAY THY HAND UPON HER, AND SHE SHALL LIVE. I HAVE BEEN SO OVERWHELMED BY MY ALMIGHTY GOD EL SHADDAI GREATNESS, GOODNESS, AND ABUNDANT BLESSINGS THAT I HAVE A GREAT SENSE OF AWE IN THE PRESENCE OF CHRIST JESUS. BEING AT THE FEET OF JESUS SITTING IN AWE BECAUSE OF THE FACT THAT I’M IN A WHEELCHAIR BUT, I’M STILL HERE GIVING MY ALMIGHTY GOD EL SHADDAI ALL THE PRAISE. HALLELUJAH!! LET ME TELL YOU SOMETHING: BEING HANDICAPPED SOME PEOPLE DON’T LIKE TO HELP YOU. THEY USES ALL KINDS OF EXCUSES BUT I THANK GOD THAT HE ANSWERS MY PRAYER. AMEN. I HAD CALLED AROUND BECAUSE I NEEDED TO BUY GROCERIES AND YOU KNOW WHAT THE MAIN PEOPLE YOU THOUGHT WOULD HAVE HELPED YOU DON’T SO, THEREFORE I PRAYED AND CRIED OUT UNTO THE LORD FOR GUIDANCE BECAUSE I KNOW HE SAID HE WILL NEVER LEAVE NOR FORSAKE ME AND PRAISE GOD HE BLESSED ME NOT ONLY TO GET MY GROCERIES BUT THAT AND MORE. THIS IS NOT THE FIRST TIME GOD BLESSED ME WITH AN OVERFLOW OF THINGS. GOD IS AWESOME!!! HALLELUJAH. I JUST THANK AND PRAISE GOD FOR EVERYTHING HE IS DOING FOR ME AND MY FAMILY. PLEASE REMEMBER, WHEN YOU DON’T KNOW WHAT TO DO OR HAVE A PROBLEM THAT YOU CAN’T SEEM TO FIGURE OUT DO LIKE I DID AND JUST GIVE IT TO. I PRAY THAT I HAVE SAID SOMETHING TO ENCOURAGE SOMEONE THIS MORNING. REMEMBER GOD LOVES YOU AND SO DO I. HAVE A BLESSED!! Categories "SIT IN THE AWE OF GOD", DIARY OF MISSIONARY CYNTHIA BENNETT, ENCOURAGING AND EQUIPPING THE SAINTS MATERIAL FOR BATTLE., FAITH, FROM THE RISING OF THE SUN UNTO THE GOING DOWN OF THE SAME THE LORD'S NAME IS TO BE PRAISED: PART ONE", GOD IS AWESOME, GOD YOU'RE BIGGER THAN EVERYTHING AND EVERYONE!! HALLELUJAH. PRAISE GOD., GOD's ANOINTING, GOD WILL FIGHT YOUR BATTLES, GRACE, HOPE, I BELONG TO YOU O' GOD, JOY, JOY THAT SURPASSES ALL UNDERSTANDING, LONGSUFFERING, NOT BY MIGHT, NOR BY POWER, BUT BY MY SPIRIT, SAITH THE LORD OF HOSTS, OUR DAILY MEDITATION SCRIPTURES., PEACE, RIGHTEOUSNESS, SPIRITUAL HUNGER, TESTIMONIES, TRUST, UNMERITED FAVOR, WISDOM, WORSHIP. DO YOU DESIRE TO SIT AT JESUS FEET? EZEKIEL 8:1 – AND IT CAME TO PASS IN THE SIXTH YEAR, IN THE SIXTH MONTH, IN THE FIFTH DAY OF THE MONTH, AS I SAT IN MINE HOUSE, AND THE ELDERS OF JUDAH SAT BEFORE ME, THAT THE HAND OF THE LORD GOD FELL THERE UPON ME. EZEKIEL 14:1 – THEN CAME DERTAIN OF THE ELDERS OF ISRAEL UNTO ME, AND SAT BEFORE ME. EZEKIEL 20:1 – AND IT CAME TO PASS IN THE SEVENTH YEAR, IN THE FIFTH MONTH, THAT CERTAIN OF THE ELDERS OF ISRAEL CAME TO ENQUIRE OF THE LORD, AND SAT BEFORE ME. MARK 3:34 – AND HE LOOKED ROUND ABOUT ON THEM WHICH SAT ABOUT HIM, AND SAID, BEHOLD MY MOTHER AND MY BRETHREN! LUKE 2:46 – AND IT CAME TO PASS, THAT AFTER THREE DAYS THEY FOUND HIM IN THE TEMPLE, SITTING IN THE MIDST OF THE DOCTORS, BOTH HEARING THEM, AND ASKING THEM QUESTIONS. I HAVE A VERY AWESOME EXPERIENCE WHEN I’M IN THE SPIRIT WITH THE LORD!!! THERE IS NOTHING LIKE NOR CAN COMPARE TO IT. IN THE PRESENCE OF THE LORD IS THE FULLNESS OF JOY. AMEN. MY ALMIGHTY GOD EL SHADDAI SO AWESOME I LOVE HIM WITH ALL MY HEART. I PRAY THAT I HAVE SAID SOMETHING THIS MORNING TO ENCOURAGE SOMEONE. REMEMBER STOP LOOKING AT YOUR SITUATION!! LOOK UNTO GOD BECAUSE HE IS WAITING ON YOU AND STAY IN HIS WORD!! GOD LOVES YOU AND SO DO I. HAVE A BLESSED DAY. GOD BLESS YOU!!! Categories " DESIRING TO SIT AT JESUS FEET PART TWO", "DESIRING TO SIT AT JESUS FEET PART ONE., "OUR YOUTH IS OUR FUTURE", "THE BLOOD OF JESUS", BEING OBEDIENT TO THE SPIRIT OF GOD, BLESS THE LORD FOR HE IS GOOD!! !, DIARY OF MISSIONARY CYNTHIA BENNETT, DIVINE HEALING, ENCOURAGING AND EQUIPPING THE SAINTS MATERIAL FOR BATTLE., EXPECTED GOALS BY FAITH IN CHRIST JESUS, FAITH, FRIENDSHIP, FROM THE RISING OF THE SUN UNTO THE GOING DOWN OF THE SAME THE LORD'S NAME IS TO BE PRAISED: PART ONE", FROM THE RISING OF THE SUN UNTO THE GOING DOWN OF THE SAME THE LORD'S NAME IS TO BE PRAISED: PART THREE", FROM THE RISING OF THE SUN UNTO THE GOING DOWN OF THE SAME THE LORD'S NAME IS TO BE PRAISED: PART TWO, GETTING TO KNOW YOUR BIBLE, GOD IS AWESOME, GOD IS OMNISCIENT: PART ONE, GOD IS OMNISCIENT: PART ONE! !, GOD YOU'RE BIGGER THAN EVERYTHING AND EVERYONE!! HALLELUJAH. PRAISE GOD., GOD's ANOINTING, GOD WILL FIGHT YOUR BATTLES, GRACE, HOPE, I BELONG TO YOU O' GOD, JOY, LAMB, LEARNING THE BOOKS OF THE BIBLE, LET GOD'S PROMISES WORK IN YOUR LIFE, LIGHT, LONGSUFFERING, NOT BY MIGHT, NOR BY POWER, BUT BY MY SPIRIT, SAITH THE LORD OF HOSTS, OH THAT MEN WOULD PRAISE THE LORD, OUR DAILY MEDITATION SCRIPTURES., PEACE, RIGHTEOUSNESS, SPIRITUAL HUNGER, TEACHERS OF THE BIBLE., THE PROMISES OF THE BIBLE, TRUST, UNMERITED FAVOR, WISDOM, WORSHIP. (15) AND THE PRAYER OF FAITH SHALL SAVE THE SICK, AND THE LORD SHALL RAISE HIM UP; AND IF HE HAVE COMMITTED SINS, THEY SHALL BE FORGIVEN HIM. (32) FOR AFTER ALL THESE THINGS DO THE GENTILES SEEK: FOR YOUR HEAVENLY FATHER KNOWETH THAT YE HAVE NEED OF ALL THESE THINGS. WHEN YOU DON’T KNOW WHERE THE NEXT MEAL OR SOMETHING IS GOING RO COME FROM JUST GET ON YOUR FACE AND CRY OUT TO GOD BECAUSE I KNOW FOR MYSELF THAT IF YOU ARE HONEST AND SINCERE WITH HIM HE HEARS YOUR PRAYERS BECAUSE HE HEARD MINE. I’M NOT BETTER THAN ANYONE BUR MY GOD IS BIGGER THAN I GO THROUGH IN THIS LIFE MY ALMIGHTY GOD EL SHADDAI GOT MY BACK. HE TAKES CARE OF ME AND MEETS ALL OF MY NEEDS IN CHRIST JESUS. WE ALWAYS HAVE TO APPLY THE BLOOD OF JESUS TO EVERYTHING YOU ALL BECAUSE THERE IS POWER IN THE BLOOD!!! I CAN’T PRAISE ENOUGH FOR HIS PRECIOUS SON JESUS CHRIST. HALLELUJAH. THANK YOU. PRAISE GOD!! Categories "OUR YOUTH IS OUR FUTURE", "THE BLOOD OF JESUS", BEING OBEDIENT TO THE SPIRIT OF GOD, BLESS THE LORD FOR HE IS GOOD!! !, DIARY OF MISSIONARY CYNTHIA BENNETT, DIVINE HEALING, ENCOURAGING AND EQUIPPING THE SAINTS MATERIAL FOR BATTLE., EXPECTED GOALS BY FAITH IN CHRIST JESUS, FAITH, FRIENDSHIP, GOD WILL FIGHT YOUR BATTLES, I BELONG TO YOU O' GOD, INVITATION, JOY, JOY THAT SURPASSES ALL UNDERSTANDING, LAMB, LET GOD'S PROMISES WORK IN YOUR LIFE, LIGHT, LONGSUFFERING, NOT BY MIGHT, NOR BY POWER, BUT BY MY SPIRIT, SAITH THE LORD OF HOSTS, OUR DAILY MEDITATION SCRIPTURES., PEACE, RIGHTEOUSNESS, SPIRITUAL HUNGER, TESTIMONIES, THE BIRTH OF JESUS CHRIST, THE PROMISES OF THE BIBLE, TRUST, UNMERITED FAVOR, WISDOM, WORSHIP.